Photo courtesy of Zev Rovine. Luck and opportunity often arrive together; the trick is spotting them. 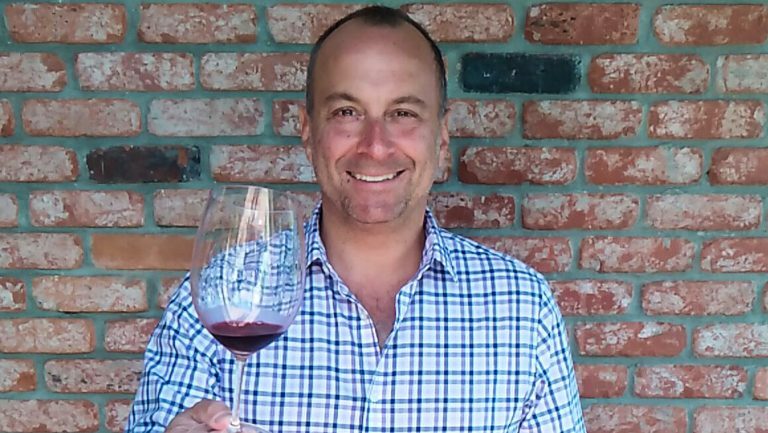 For Zev Rovine, a waiter turned boutique wine importer, a pivotal moment of that sort occurred in the early aughts, when he was working the floor at the popular New York City restaurant Butter. One night the manager told the waitstaff that the person who sold the highest number of specials would earn a wine course at the American Sommelier Association. Rovine hit the floor hard that night, clinched his prize, and fell in love. 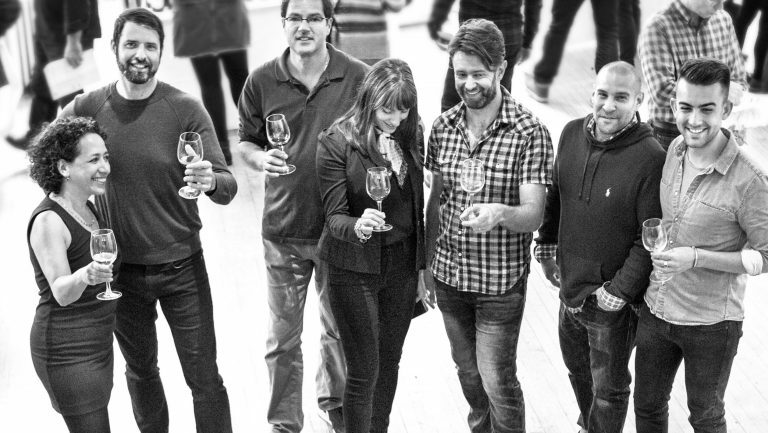 He saw the class as an opportunity to expand his horizons through wine. He began reading and tasting everything he could get his hands on. “I got turned on to natural wine by reading Kermit Lynch,” Rovine says of his early ventures into serious wine. 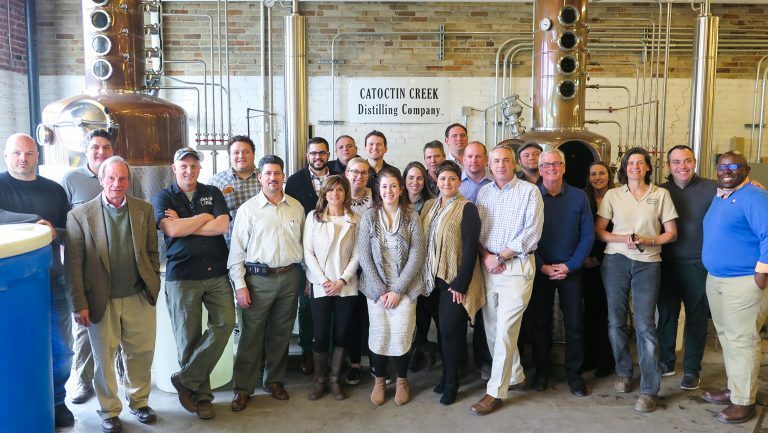 Park City was the place where Rovine cemented his love of wine—and where he formed relationships that led to his most important future partnerships. One of those relationships was with Evan Lewandowski, who was 21 when Rovine hired him. Lewandowski started as a barista at The Spotted Frog, but his role expanded to encompass bartending and other duties; he is now the winemaker at Ruth Lewandowski Wines in Salt Lake City, and Rovine handles his distribution. In 2011 he embarked on an R&D trip to Europe. There, he forged relationships with French producers such as Domaine Matin Calme, Caves Jean Bourdy, and Domaine Dubost, all of which he still represents. He began importing the wines and distributing them through Fruit of the Vines. Some of his producers, though, do add sulfur “as insurance,” Rovine says. He explains, “If [a wine] ends up in a warm environment during shipping, a little sulfur can help stabilize it and protect it from oxidation.” Rovine says his winemakers never exceed 40 milligrams per liter, about one-fifth of what many other commercial producers add. 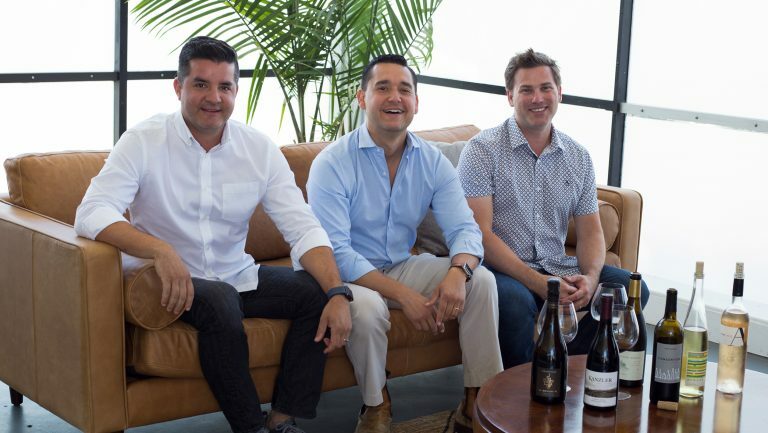 It turned out that hand-selling small-batch wine ended up aligning with Rovine’s business plan, and it allowed him to grow his profit margin by investing every cent back into the product line. 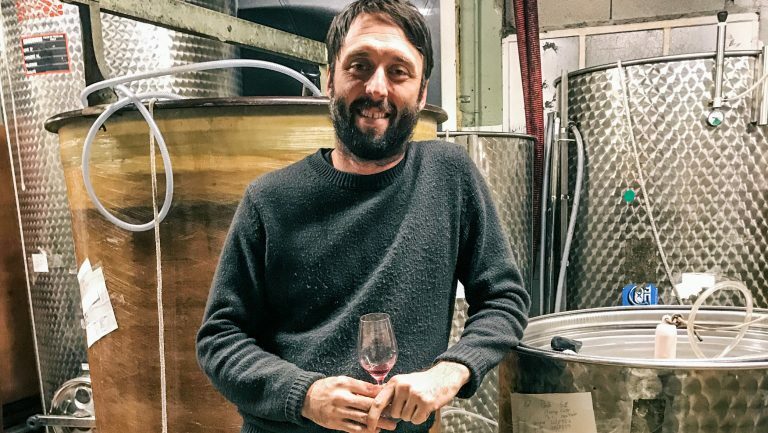 In addition to seeking out unknown natural wines at remote wine bars and trade shows, Rovine buys wine from friends like Lewandowski, who credits Rovine’s hand-selling approach for his success. “I still remember vividly the first day he took my initial three wines into the market [in 2011],” Lewandowski says. “I sat anxiously on my couch to hear how his first appointment went. [He sold] a case of each to Patrick Cappiello at Pearl & Ash [in New York City]. I nearly died.” Overall, he says, 75 percent of the markets to which he exports or distributes have come through his work with Rovine. Supply, though, isn’t his biggest challenge. “Because natural wine is such a pure product of the vineyard, it’s variable,” Rovine says. “Every wine is a little different every year and [is] the combination of a thousand tiny decisions. I try to visit every winery [in my portfolio] every year and taste everything.” He finds that tasting every wine yearly, and noting the differences from the previous year’s lineup, allows him to serve both his producers and his buyers better. Rovine’s buyers—like Henry Glucroft at Henry’s, a wine shop in Brooklyn devoted to natural wine—appreciate his rigorous approach. 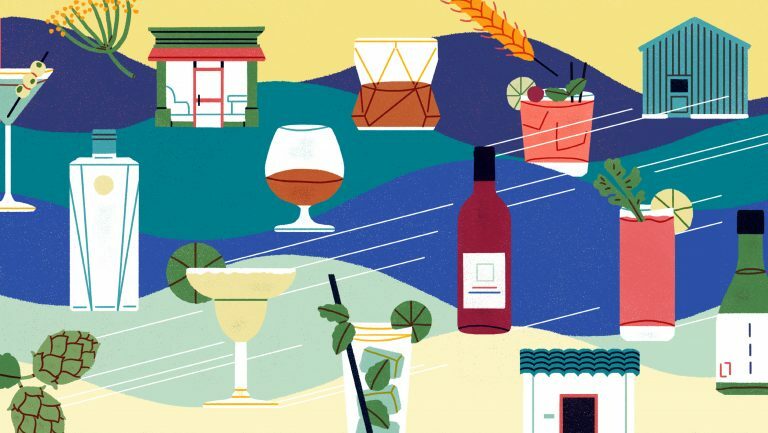 Glucroft explains that as natural wine has become trendier, “lots of people are rushing to join the party, even big wineries,” and the overall quality of the offerings has been diluted, which is why he has come to depend on Rovine’s well-curated book. Currently, Zev Rovine Selections offers wines from seven countries and 90 winemakers, up from just three winemakers in 2009. In 2010, Rovine doubled his year-over-year sales, and in 2011 he doubled his sales yet again. Since then, growth has ranged from 25 percent to 40 percent annually. In the beginning, when his budget was tight, he couldn’t conceive of hiring anyone else. It wasn’t until 2011 that he was able to hire his first employee; he now has a staff of nine, six of whom work in sales. The availability of Zev Rovine Selections, which now sells in 30 states, has run parallel to the increase in product offerings. The company started out in New York, then added Massachusetts a year later. Over the next few years, all the states along the Eastern Seaboard trickled in, and by 2012, California was on board. Erin Sylvester, a California native, came to Zev Rovine Selections in 2013 after working on the floor and as a service and beverage director at top restaurants, like Blue Hill at Stone Barns, in and around New York City. She says that she made the jump to sales because she didn’t want to wear an apron for the rest of her life. Sylvester starting selling to on- and off-premise locations in New York, and Rovine says he watched in awe as her “genuine passion for hospitality, and love of taking care of people,” swiftly made her his top salesperson. (Arriving with a collection of contacts at some of the restaurants with the most sought-after wine lists in New York helped Sylvester, too). In an effort to raise the profile of the Rovine wines in California, Sylvester pitched the idea of a westward expansion to Rovine. He loved it. In 2016, Sylvester officially set up the business in Los Angeles as Sylvester Rovine Selections. She is the majority investor, with Rovine and Laurent Bonnois of Maximilien Selections. Almost the entire Zev Rovine Selections book is now represented in California by the company, with a handful of exceptions that already reside in other books. By leaning into his passion for natural wine and drawing on his innate ability to bring people together and build strong relationships around that passion, Rovine has been able to scale up a small business into a coast-to-coast operation.